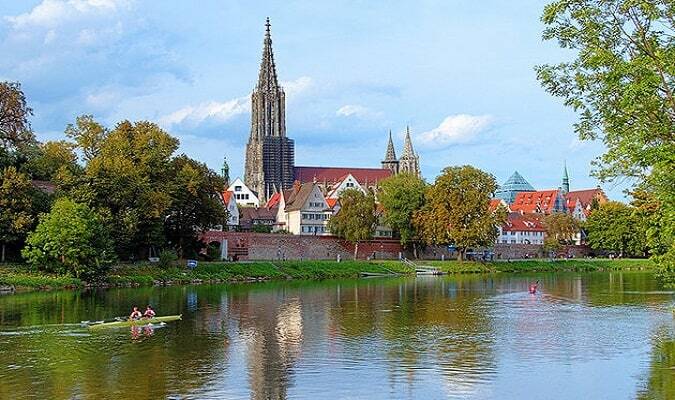 Ulm is a city in Germany located in the state of Baden-Württemberg. This ancient imperial city is situated on the left bank of the Danube river, known as the birthplace of Albert Einstein. The Ulm Cathedral is a Lutheran church from the Gothic-era that was completed only in the 19th century. It has an observation platform. From the platform you will have a panoramic view of the city. The Ulmer Rathaus is located south of the cathedral on Marktplatz. The oldest part of the current building was built in 1370. The ornamental astronomical clock was installed around 1520. The Walls of Ulm were built in 1482 along the banks of the Danube. Much of the 15th century walls were well preserved. Along the way you will find the Metzgerturm 36 meters high. The Schwörhaus, a structure existing since the 17th century, is the former Kings Palace. 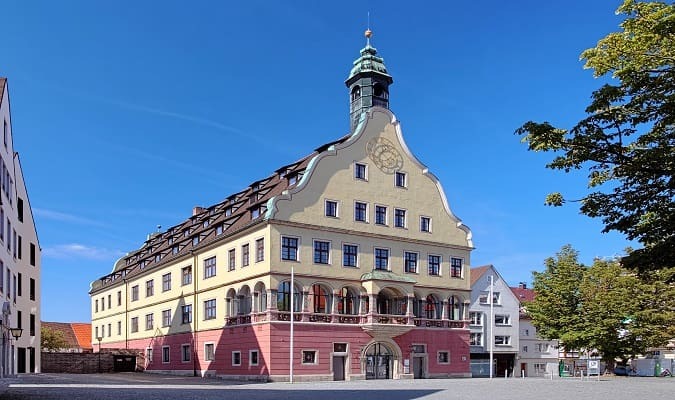 The local history museum is located in the “Schwörhaus”, which also houses the city archives of Ulm. The Fisherman’s Quarter (Fischerviertel) located around the Blau river is a wonderful place to explore on foot. 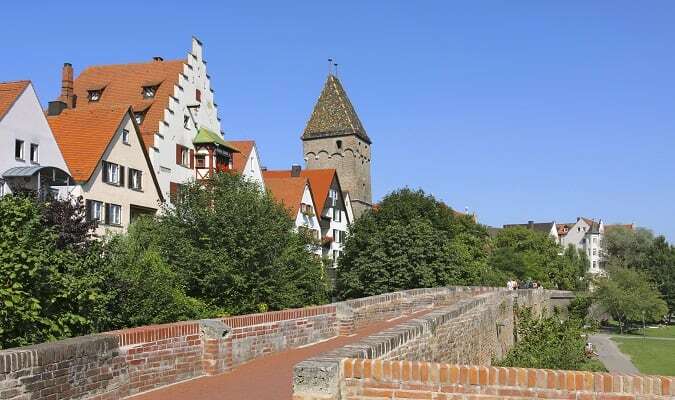 The site includes numerous restored half-timbered houses, narrow alleys, bridges, excellent restaurants and places to shop. The Einstein Fountain is a bronze sculpture made by Jürgen Goertz in 1984. The Stadthaus is a modern building located near the cathedral. It creates a mixture of past and future. The place has a cafe and a restaurant. The Weishaupt is located 350 meters from the cathedral. 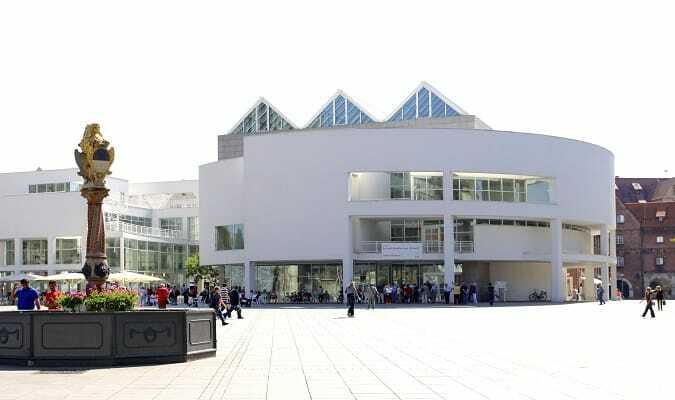 The beautiful building has an entrance hall with glass walls that give modernity to the square. The Botanical Garden was founded in 1981, it has an area of 28 hectares, being one of the largest in Germany. It is maintained by the University of Ulm. 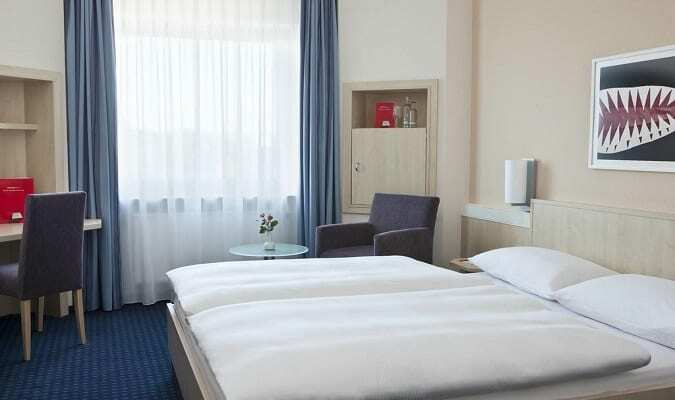 The Maritim Ulm is located 850 meters from the Ulmer Rathaus. The Intercity Ulm is located 950 meters from the Ulmer Rathaus. The Glacis-Galerie is located 1 km from the Ulmer Rathaus. Brands: Zara, New Yorker, Deichmann, Schuhe. Ulm has easy train access from various cities in Germany. Famous cities nearby: Stuttgart, Augsburg, Munich.